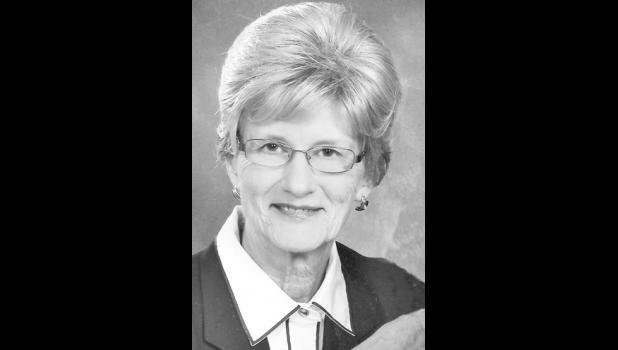 Phyllis Agnes Waller, 78, of Hoyt, passed away Tuesday, Dec. 15, 2015, at Midland Hospice House in Topeka. She was born Oct. 10, 1937, in Axtell, the daughter of Ignatius and Frances (Deters) Rottinghaus. Phyllis grew up in Baileyville. She graduated from Mt. Saint Scholastica College in Atchison, earning her degree in Music Edu­cation in 1959. Phyllis was a Lan­guage Arts teacher at Royal Valley Junior High School in Hoyt for nearly 30 years. She retired in 1996. She also taught private piano lessons for many years and loved baking, gardening and canning. She was a member of Mother Teresa of Calcutta in Topeka. Phyllis married John Waller on June 20, 1959, at Sacred Heart Catholic Church in Baileyville. He survives of the home. Other survivors include her daughter, Laura and Gary Dusheke of Raytown, Mo., and their chil­dren, Ryan, Jessica and Julie and great-granddaughter Olivia; her son, Dale and Debbie Waller of Baileyville, and their children, Eric (dec.), Becky, Lisa, Nathan and Laura; her daughter, Linda and Daryl Sales of Valley Falls, and their children, Justin and Amanda; her son, Brian and Jennifer Waller of New River, Ariz., and their chil­dren, Gentry, Sadie and Kinsey; and her sister, Therese and Andy Kenkel of Ozawkie. She was pre­ceded in death by her parents and her grandson, Eric Waller. Mass of Christian Burial will be held at 10 a.m. Friday, Dec. 18 at Mother Teresa of Calcutta Catholic Church in Topeka. Interment will be held at 3 p.m. Friday at Sacred Heart Catholic Cemetery in Bai­leyville. Rosary will be prayed 6 p.m. Thursday with visitation to follow at Mercer Funeral Home in Holton.